From the archery opener in Carolina to desert aoudad in Texas, the Men's Wick Boot Top is First Lite's next-to-skin base layer for high output hunts in hot weather. The articulated fit and comfortable brushed, jacquard waistband leverage the the structure and stretch of our Ultralight 150 Aerowool fabric. This layer also features 125 gram Aerowool mesh panels through the crotch to maximize ventilation during active hunts. The Men's Wick Boot Top is the new standard for quick drying, odor-resistant, ultralight baselayers. Ultralight 150 Aerowool construction combines the finest, 17.5 micron merino wool available with 37.5-activated nylon fibers to create a super-charged fabric with incredible performance benefits. Our Wick styles also integrate 125 gram Aerowool mesh to targeted hot-zones. that also utilizes 17.5 micron merino and 37.5-activated nylon fibers. What you get is enhanced odor resistance, exponentially improved dry times, increased durability, and moisture wicking, and a fabric that can cool you down when you're heating up and warm you up when it's cooling down. 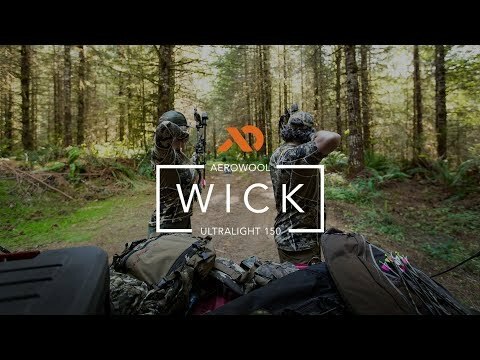 The Wick Ultralight 150 Aerowool is also available in a men's: a short boxer brief; loose fit boxer brief; and a long boxer brief. I have worn the v.1 for a few seasons now and don't wear anything else. These are awesome in the whitetail woods. On the way to stand, the fabric wicks moisture quickly and conforms well to the body without any sagging or chafing. I really like how my knees have the extra cover once in stand and the body starts to cool- also provides that extra insulation in the early season and the wind pics up a bit. I did leave a pair in the open laundry basket for a little too long and the basement dwellers seemed to like how they tasted. This "vented pair" is now my warm season selection. Live and learn. Form fitting around my large legs to have the proper waist size. I used this piece several mornings on my 6 day archery elk hunt. It is perfect in the mornings when the temps are low, and you need to put some miles on, and just want to nock the chill out. Fits great, and would be perfect for anyone concerned about chaffing. It's been too hot to try them in the field, but the comfort and weight are awesome. These are perfect for keeping you dry on warm days and the boot top cut is awesome. Everything I needed for warm weather spring and fall bear hunting. Exactly what I expected. Snug fit and perfect length. Flexible enough that I can move around like I'm not even wearing them. I hate trying to step over something and getting stopped by my clothing. Light enough that I won't start dripping sweat the moment I step into the bush, and WHEN I do get sweaty, they stay warm regardless. I like to move a lot but I sweat like crazy which means as soon as I stop I would freeze in my old hunting gear. This is just the beginning of my First Lite Kit and I am excited to add more! First off, I always wanted these, saved up my money for the older version, the glen brooks but then ended up not buying them, this year I was determined and purchased them this summer. I was not disappointed, they end right at the top of my boot socks as they should and the weight is perfect for someone who is always hot. I will be wearing these hunting, skiing, hiking or any other outdoor physical activity I may encounter. These feel so soft and comfortable I forget I have them on, first was perfect, length was spot on. Got this for early season whitetail. Perfect for cooler mornings on the walk to the stand but breathes extremely well when the temps rise. Not too loose not too tight. Just right. The Windward side of the Hawaiin island of Oahu is largely described with one simple word humid. My life here is with the Marines. Every day, whether it in the field, or working a regular day, is nonstop sweating and discomfort. I bought the boot top length wicking bottoms in hopes of finding respite from these circumstances. This product performed everything advertised to an astonishing degree. Sweat accumulation was mitigated, therefore leading to more comfort throughout the day, and after the sun dipped behind the mountains. The merino wool blend did a phenomenal job of odor mitigation as well. When the day was over and it was time to drop pants for hygiene, well, I was not floored with stink as per usual. I recommend anything First Lite to my fellow Marines at every chance I get. I look forward to buying this product but in the usual boxer cut! The sizing was exactly what I had expected. The waist fits snug without being tight, and the length was enough that it barely overlapped the tops of my Mountain Athlete Triad Socks. The wick boot tops are the most comfortable long johns I've put on. After years of wearing mostly Patagonia capilene and some Icebreaker bodyfit (which are both top notch) I believe these are the new standard. They are warm and cool and dry and light. So comfy! 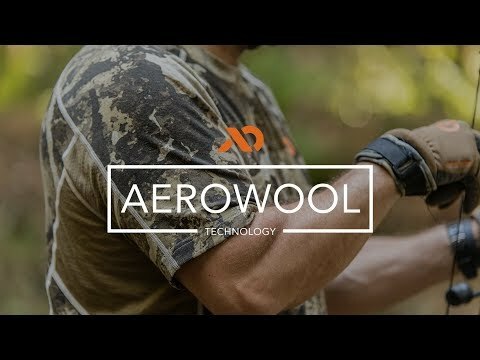 Do yourself a favor and get some aerowool. I typically wear a 32x32 and the medium feel like they were made custom for me.